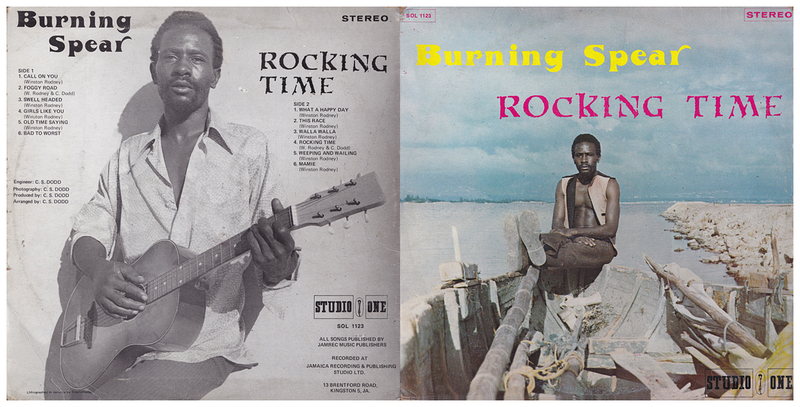 Studio One CD with extended and overdubbed remixes of Rocking Time and Mamie. Original issue on the Forward label. The sleeve is printed on thin white card by Stephensons of Jamaica. 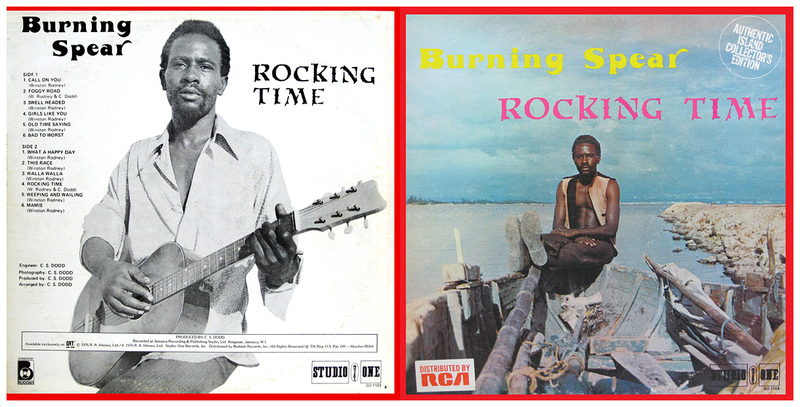 For a fascinating overview of all the early Burning Spear sleeves check out Burning Spear Albums at Studio One (courtesy of Greg at Graal Records). Remix in stereo with overdubs, alternative vocal takes and slightly different track order (Mamie swaps with Weeping And Wailing). Sleeve printed on white card with same credit to Stephensons of Jamaica. More or less straight reissue of the orignal album (without overdubs, alternative vocals or extended remixes) except, that is, for a slightly different mix of Mamie.